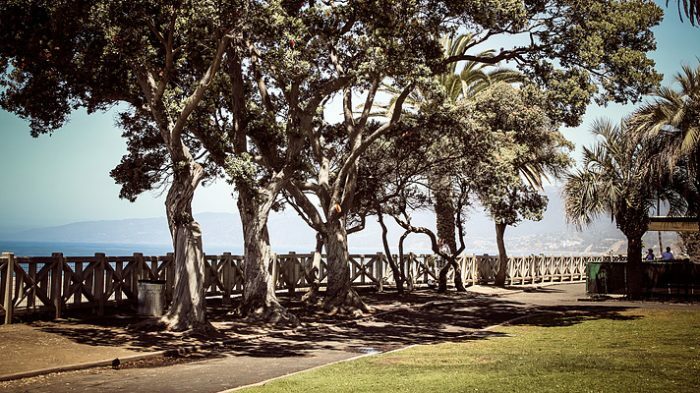 Pallisades Park is a real treat: a beautiful, palm-lined greenway with lots of star-gazing and views of the Santa Monica Pier. It’s a pleasant 1.6 miles from end-to-end, and includes 30 varieties of plants and trees, sculptures, cannons, and a unique landmark, and the 19th-century Camera Obscura. A great idea is to do a loop of the park one way and then return along Ocean Front Walk. There are stairs that lead from the park to the beach just south of Inspiration Point. Note – there are spots where you can run on a firm sand or paved service. Also, it’s lit at night. Great post. I was checking constantly this blog and I am impressed! Extremely useful information particularly the last part 🙂 I care for such information a lot. I was looking for this particular info for a long time. Thank you and best of luck. Just desire to say your article is as astounding. The clarity in your post is simply great and i could think you are knowledgeable on this subject. Fine along with your permission allow me to clutch your feed to stay up to date with impending post. Thanks a million and please carry on the gratifying work. Ive never read anything like this before. So nice to locate somebody with some original thoughts on this topic, really thank you for beginning this up. this internet site is one thing which is required on the web, an individual with a little originality. valuable job for bringing one thing new to the world wide web! Excellent post. I was checking continuously this blog and I am impressed! Very useful information specifically the last part 🙂 I care for such info a lot. I was seeking this certain info for a very long time. Thank you and good luck. Excellent post. I used to be checking constantly this blog and I am impressed! Extremely helpful info specifically the last section 🙂 I care for such info much. I was seeking this particular information for a long time. Thanks and good luck. Well I truly liked studying it. This tip provided by you is very effective for correct planning. I have read several good stuff here. Definitely worth bookmarking for revisiting. I surprise how much effort you put to create such a fantastic informative website. A powerful share, I just given this onto a colleague who was doing just a little evaluation on this. And he in reality bought me breakfast as a result of I found it for him.. smile. So let me reword that: Thnx for the deal with! But yeah Thnkx for spending the time to discuss this, I really feel strongly about it and love reading more on this topic. If attainable, as you develop into expertise, would you mind updating your weblog with extra particulars? It is highly useful for me. Huge thumb up for this weblog post! Attractive component of content. I simply stumbled upon your website and in accession capital to say that I get actually enjoyed account your weblog posts. Anyway I will be subscribing in your augment and even I success you access consistently fast. have time I will be back to read a lot more, Please do keep up the awesome work. understand so much approximately this, like you wrote the e-book in it or something. the message house a little bit, however instead of that, this is great blog. article. Thank you for supplying this information. Start at Ocean Ave. & Colorado Ave. at southern end.